This 35th edition of European Heritage Days – participatory cultural events at museums and historic sites – ties in with the European Parliament and the Council of the European Union’s year of cultural heritage. The 2018 theme of sharing 2018 aims to reflect how Europeans can trace a shared heritage, a notion especially relevant in this the centenary year since Armistice. As well as places such as civil and religious monuments and public buildings, natural preservation sites are also taking part. 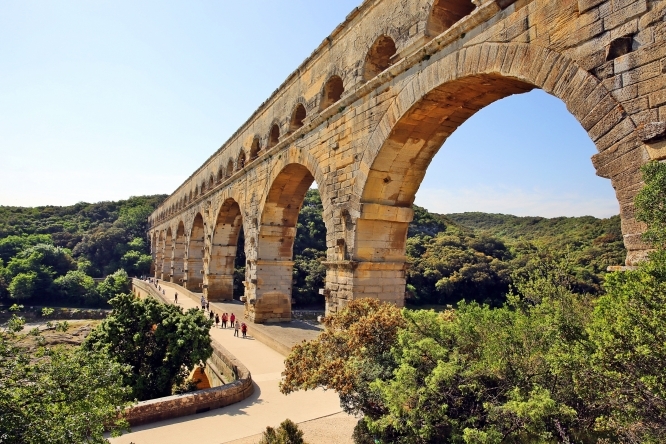 Among the sites to discover are Pont du Gard (part of the route européenne des Antiques from Spain to Bulgaria) and Vauban’s fortifications. The annual Berlioz Festival is a major festival of symphonic and Romantic music, in the town where the composer (who died 150 years ago) was born. Around 50 events are held, with over 1,000 artists invited to perform. Most concerts are held in the courtyard of Château Louis XI, while there are also recitals, chamber music, contemporary creations and minstrels in the medieval hall, the Berlioz farm and the churches of the neighbouring villages. The elegant Normandy seaside town of Deauville bathes in a Hollywood glamour glow for its annual celebration of film. The festival has been running since 1975, showcasing big productions and independent movies alike, with big name attendees thrown in for good measure. The public can enjoy screenings around town, with over 100 films open to audiences in three different sites. The jury president is actress Sandrine Kiberlain. Bargain-hunting antiques lovers head to Nord to experience the huge braderie. All along boulevards Louis XIV and Liberté you can seek out objets d’art, antiques, games, toys and books, while there will also be a large gathering of professional antique dealers from the UK between La Porte de Roubaix and the Opera House. The first day is the perfect time to get the best deals, with an official start time of 08.00, though insiders say it is possible to do business as early as Friday night. For one night only, an enormous pyrotechnic show takes place on land belonging to the Fédération Française d’Equitation located at the Parc Equestre Fédéral de Lamotte-Beuvron. From 17.00 enjoy musical shows, craft exhibitions, bar and regional specialities. The main event starts at 21.30: a light and sound spectacular telling the Pinocchio story with special effects and pyrotechnics. Six tonnes of fireworks will be used, and a crowd of 10,000 is expected. Now in its 8th year, Paris Design Week coincides with the Maison et Objet interiors show, which provides interiors inspiration to the public. From Les Halles and Bastille to Saint-Germain des Prés, Marais and Concorde, over 200 showrooms, boutiques, workshops and installations will pop up. The event brings together the creative talents and forces of retailers, galleries, hotels and restaurants to share their design experience – great for inspiration. This running race just for women was created by Patrick Aknin in 1997, when 1,500 ladies competed in the heart of the Bois de Boulogne. Now, some 40,000 female runners – many taking part as teams of mothers and daughters, friends or company teams – set off early in the morning to tackle the 6.7kms course in the heart of the capital. The race starts at Pont d’Iéna and finishes at the Champs de Mars. Beyond the sporting challenge, La Parisienne is a charity race too, raising money for breast cancer research. There is also a fancy dress element, with prizes for the best outfits! Drink-driving is definitely a no-no when wine tasting in Bordeaux wine country but drink-running is not. Every year, thousands of runners, many in fancy dress, make their way through a 42,195km loop of vine-lined roads and pathways starting and ending at Pauillac. Another unique element comes in the form of the marathon’s refreshments stands – 23 local wine producers offer tastings, while nourishment comes in the form of oysters and foie gras! 2018 saw Le Castellet racetrack back at the top table of motorsport with the successful return of the French Grand Prix. Now two-wheeled speedsters will take to the famous Paul Ricard circuit for the final round of the FIM Endurance World Championship. The race was first held in 1922. It lasts for a non-stop 24 hours, with teams of three riders taking turns to race..
As well as the main race and others featuring vintage bikes, petrolheads can also enjoy concerts and workshops. This annual national festival of cuisine was created in 2011 by the government to promote the joys of French food. Chefs will be giving demonstrations, restaurants will create special menus – often at specially reduced prices – and one-off events will enthuse food fans. Diversity and choice is the key – to give just two examples: in Dives-sur-Mer in Calvados, La Maison Dupont tea shop is giving a Madeleine workshop for children, while La Caracole snail farm/restaurant in Cévennes is running a special menu and guided tour for the occasion. 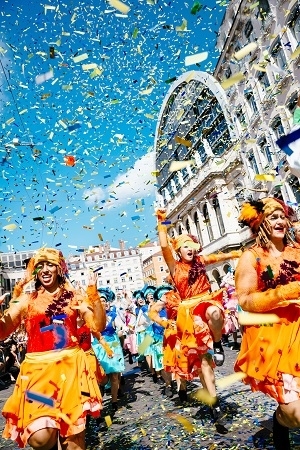 Created in 1990, this festival continues a long tradition of British visitors enjoying the seaside town – aristocrats first crossed the Channel back in the late 19th century and it became a fashionable resort. This year’s festival, which as usual will see films shown on five screens over five days, is presided over by Italian actress Monica Bellucci. Some 30 feature films and 20 shorts will be shown, 80% of them as first-look previews (Shallow Grave and Billy Elliot won prizes here before going on to huge success). Amid the spacious elegance of the transformed railway station comes this reappraisal of the prolific Spanish artist’s best known career periods: blue and rose. Working in collaboration with the Musée Picasso, the Orsay will present some masterpieces presented for the first time in France, such as La Vie (1903, Cleveland Museum of Art), and offers a renewed reading of the years 1900-1906, an essential period in the artist’s career that has never been treated as a whole by a French museum. If you love dance, there is only one place to be this September. Lyon, the Rhône-Alpes’s highly cultured capital city, alternates between art and dance for its annual ‘biennial’ festival and in the even years, it is dance’s turn in the spotlight. Thousands of dancers from all over the world take over the city’s venues and streets, with musical parades, over 40 shows and over 200 performances. All dance styles are represented, including ballet, samba, hip-hop, circus, and African. The highlight is Europe’s biggest choreographed parade, A Défilé for Peace, which will take place in central Lyon on September 16. Amateurs can also get involved with dance workshops, sit in on rehearsals and enjoy guided tours behind the scenes at theatres. 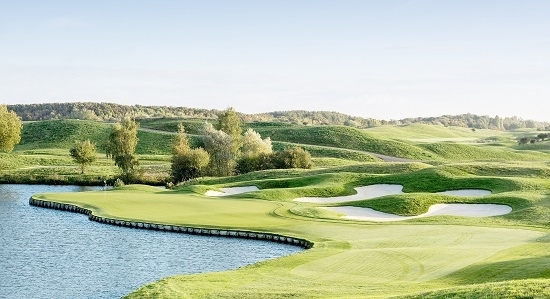 The 42nd Ryder Cup held at le Golf National in St-Quentin-en Yvelines will see the prestigious competition between Europe and the USA taking place for the very first time in France. The two twelve-player teams will compete on the ‘Albatros’ course, which opened in 1990 and is a par 72 at 7,331 yards (6,703m). France has a longstanding affection for golf and in July La Poste released special stamps to commemorate the event. As we went to press, organisers said that almost half of the daily tickets had been bought by French fans, a higher percentage than those bought by Scottish fans for the last event at Gleneagles. The course will also host the golf at the 2024 Paris Olympics.